Zachary Maxwell is a thirteen-year-old documentary filmmaker attending public school in New York City. 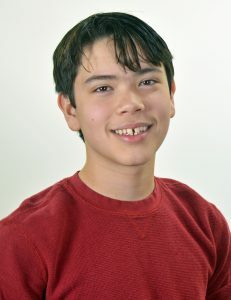 Zachary began screening his work in film festivals at the age of eight. His award-winning 2012 film Yuck! A 4th Grader’s Short Documentary about School Lunch drew international media coverage. Zachary has been featured in Newsweek, The Huffington Post, The Washington Post and The New York Times. He has spoken at the U.S. Library of Congress and made guest appearances on National Public Radio, Good Morning America and Jimmy Kimmel Live. Zachary recently launched his own media production company, Maxwell Project. His latest film is Anatomy of a Snow Day.